Should the Buffalo Sabres Consider a PTO Contract? As we head into the final weeks of summer, hockey is creeping back into the picture in the sports world. Training camps for NHL teams will commence in about a month. For the Buffalo Sabres they may want to make another move prior to the beginning of camp. If the Sabres end up missing out on signing Jimmy Vesey, the club could have a few spots open in the forward ranks. They could look to fill those spots from within with up and coming players like Justin Bailey, William Carrier, Evan Rodrigues and Hudson Fasching. Bailey seems like a lock to earn himself a roster spot unless he has a dreadful camp. The 2013 second round pick made a good impression in his brief stint with the Sabres last season. He also took over as the best player on team’s AHL affiliate Rochester Americans in the second half of the season. The other aforementioned players have more uncertainty surrounding them. Carrier has yet to play an NHL game, while Rodrigues and Fasching have very little NHL experience. While these players may be able to fill in, the Sabres may want to have more experience in the lineup. Without Vesey or another forward roster move, Buffalo could have one or two openings. A trade may be hard to pull off for General Manager Tim Murray this close to training camp. In an effort to boost the competition in camp, Murray, could look to bring in a veteran on a professional try-out contract. A camp PTO has worked out well for teams in the past. One example of that is Lee Stempniak. Last season he scored 51 points with New Jersey and Boston after signing a PTO last September with the Devils. Some big name players still remain out on the open market. As the hockey world awaits a decision from Vesey, some of these players could be signed in the fallout of his decision. The first player who makes a lot of sense for the Sabres would be Brandon Pirri. The 25-year-old fits in with the age make-up of the team and has been in the league for a few years with the Chicago Blackhawks, Florida Panthers and Anaheim Ducks. The fact that Pirri is still a free agent is a little surprising. He’s proven the ability to score in the NHL scoring 36 goals over the last two seasons in 110 games, which would equal out to 26.8 goals over 82 games. The 2009 second round pick is also a good even strength player. His numbers are not boosted by power play minutes, which is another positive sign. According to Corsica.Hockey, Pirri, has scored 21 of his 36 goals over the last two seasons at even strength. The numbers indicate he could be a productive secondary scorer in a third line role. He also has the ability to fill in a top six role in an injury situation. Bringing in Pirri could be a very good late summer addition if the Sabres decide to do so. A few other players who could make sense are Jiri Hudler and Radim Vrbata. Hudler may be one of the players I mentioned early that get a regular contract after a Vesey decision is made. At 32-years-old he’s too good to not get a shot with someone. The former Calgary Flame is one year removed from a 76 point season. Vrbata, on the other hand, is an interesting situation. At 35-years-old his best hockey is certainly behind him. However, he was very productive over the last few seasons in Vancouver. He scored at least 20 goals in three of his four previous full seasons (not including the lockout season) and at least 30 goals in two of those three seasons. 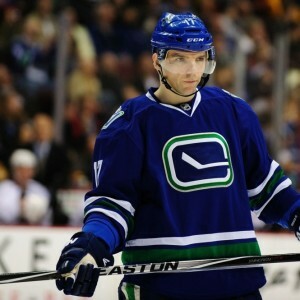 Last year Vrbata struggled with injuries and finished the year with 13 goals in 63 games. In regards to the Sabres he could fill a role as a secondary scorer and power play producer on a one-year deal if he can make the team out of camp. Vrbata would bring a veteran presence on a pretty young team and a player who still has the potential to contribute 15 to 20 goals. The Sabres can go about filling out the final roster spots a few ways. They can look to their upcoming youth or bring in another veteran. Bringing in a player on a PTO contract would increase the competition at training camp and potentially find a motivated player who could help the Sabres get back into the playoffs next season. We’ll see the route Murray decides to take.